State Song "These Green Mountains"
Jay Peak: Ski resort in Jay, Vermont. Mount Snow: Ski resort in Somerset, Vermont. Stratton Mountain: Ski resort in Stratton, Vermont. Trapp Family Lodge: Resort in Stowe, Vermont. Stowe Mountain Resort: Ski resort in Stowe, Vermont. Mad River Glen: Ski resort in Fayston, Vermont. Shelburne Museum: Art museum in Shelburne, Vermont. Killington Ski Resort: Ski resort in Killington, Vermont. Green Mountain National Forest: National forest in southern Vermont. Mount Mansfield: Highest mountain in Vermont. The summit is located within the town of Underhill in Chittenden County. Quechee Gorge: Gorge in Hartford, Vermont. Hildene: Summer home of Robert Todd Lincoln (son of Abraham Lincoln) and his wife Mary Harlan Lincoln, located in Manchester, Vermont. Lake Willoughby: Lake in Westmore, Vermont. Okemo Mountain Resort: Ski resort in Ludlow, Vermont. Smugglers' Notch Resort: Resort in Jeffersonville, Vermont. Ben and Jerry's Factory Tour: Factory tour of the famous ice cream shop, located in Waterbury, Vermont. Sugarbush Resort: Ski resort in Warren, Vermont. Vermont Teddy Bear Company : Gift shop in Shelburne, Vermont. 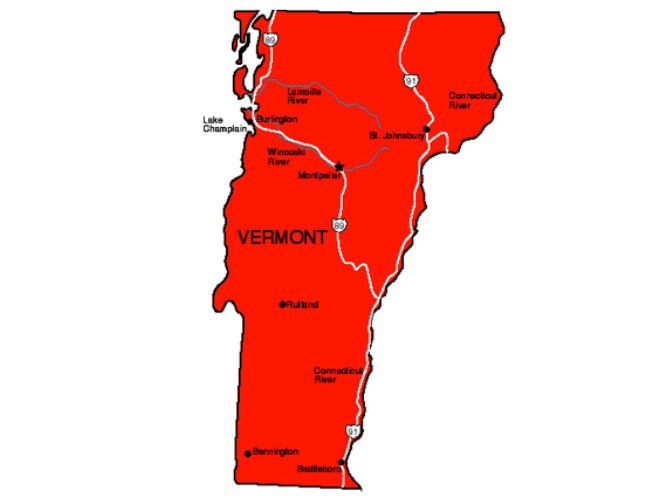 Vermont's name is derived from two French words–vert ("green") and�mont�("mountain"). French explorer Samuel de Champlain first gave the name "Verd Mont" to Vermont's Green Mountains on his 1647 map. Vermont does not have any skyscraper. 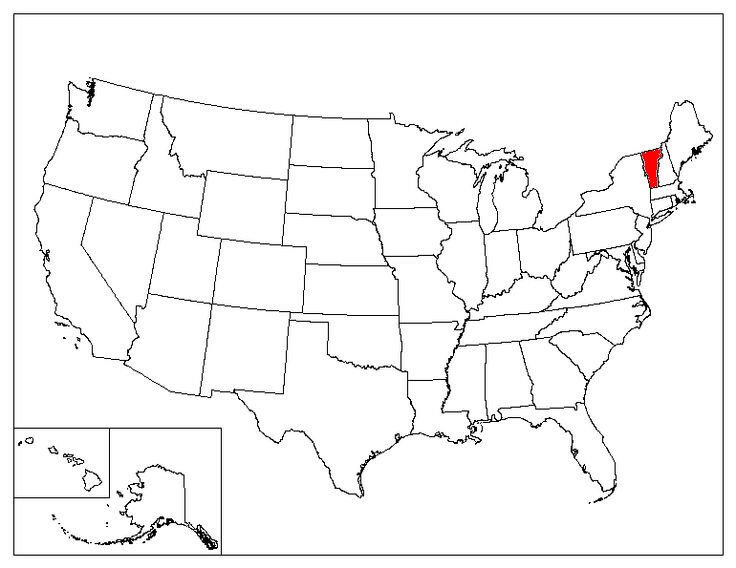 Vermont is the only state that does not have any buildings taller than 124 feet. Vermont is one of four states that were once independent nations (Texas, California, and Hawaii are the other three). Vermont was known as Republic of New Connecticut between 1777 and 1791. On May 5, 1978, Ben Cohen and Jerry Greenfield opened their first Ben & Jerry�s shop in an old gas station in Burlington, Vermont. On July 31, 1790, Samuel Hopkins of Pittsford, Vermont, became the first person in the United States to file and to be granted a patent. The socket wrench was invented by J. J. Richardson of Woodstock, Vermont, who received a patent on June 18, 1863.